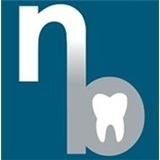 North Brooklyn Dental Care (Brooklyn) - Book Appointment Online! We are located at 169 KENT ST (at the intersection of Manhattan Ave and Kent St.) Please note, we have a 48-hour cancellation policy, thank you in advance! At North Brooklyn Dental Care, we understand how important first impressions are. That is why our office sets a high standard for personal attention and clinical excellence. Starting with your first visit, you will notice our sincere concern for your health, and a focus on open communication that allows you to determine your own course of treatment. You will be informed, confident, and comfortable with our care. Our dental practice specializes in care for the entire family. We offer services that cater to the simplest and most complex dental needs and Dr. Stimmler takes pride in working with patients who require the skill of a highly trained doctor. Our services range from general dentistry for the whole family to modern procedures. Bryan is an innovative, driven professional, who truly cares about his work, and his business. Not only does he go above and beyond in educating himself, and his staff in modern dentistry, I believe he is a contribution to it as well. The atmosphere is warm and welcoming, I wouldn’t trust my teeth with anyone else.